Raw Challenge hosts a number of different outdoor obstacle events. These events encompass a range of courses designed to test participant’s strength, stamina and agility, as they bring together fun and fitness to give you a great sense of achievement. Participants can choose to walk or run each track and make the course as hard or easy as they desire. Athletes can time themselves as they run and conquer all obstacles while others may choose to walk with friends and at times may bypass obstacles. Raw challenge is for EVERYONE. It is an event! With music, food and drink every event has something for everyone. A test of real endurance; The Raw Challenge circuit is 7km & 50+ obstacles over 12 hours, how many laps will you or your team of 2 or 4 do? If you complete 12 laps, that’s 84kms & approx. 720 obstacles ,you will know that you have just completed one of the most gruelling physical & mental challenges of your life. Apart from individual entry their are teams of 2 or 4 who run in relay. Hit the course hard come back and tag your next member rest and recover and hit the course again. Burpee penalties apply to all competitive runners. A new 6 Hour course is for those wishing to taste an Enduro Event. Starting time from 6am to 12 midday. Individual and Social fun teams from 3-8 person can run together join forces and overcome obstacles NO BURPEE PENALTIES. All obstacles must be attempted, any incomplete obstacles will result in a 15 burpee penalty. Multiple attempts can be made to any obstacle failed.. Anyone over the age of 16 is welcome to participate. *Some obstacles will be marked with women only can complete. The individual or team who has completed the most laps & obstacles will be declared the 2018 Raw Challenge Enduro champions. Trophies, medals and shirts awarded to 1st placegetters each category. Categories 1st male/ female: 1st 2 person team male women mixed: 1st 4 person team male women mixed. $5,000 in prizemonies and prizes. Camping & parking is provided free of charge and an amenity block with hot and cold showers will be available to campers and competitors . We welcome all spectators to come and watch. All day BBQ available to purchase. Water stations and electrolytes around course. First Aid personnel. * competitive participants in relays can only have 1 person from each team at any one time, not only fitness but strategic planning comes into affect on this relay style racing, while one person is competing the team members can rest, evaluate and discuss strategies for getting back on the course. AUSTRALIA TOUGHEST ENDURO. HOW MANY BURPEES WILL YOU DO ???? Season mulitpass Prices will increase regularly without notice. Minimum age is 16 years old. I.D is required. Raw Challenge Doyalson is Australias toughest obstacle course that has water, mud and obstacle after obstacle. 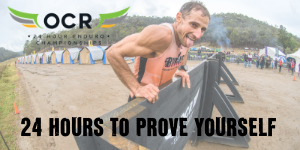 Over 60 Obstacles across a 8km course set to test the toughest participants or to those just wanting to have fun with friends workmates and family. A day of team building and activities or a day to test mental and physical strengths of an athlete. The Dash wave 8.30am will give competitors those wanting to set a time and personnal challenge will be tested on the most comprehensive and difficult course in Australia and multiple attempts can be made to complete obstacles.. Failure to complete requires burpee penalties. Waves from 11.45am on will be a shortend course less running and be a discounted ticket. Registrations are available for both individuals and teams.. It’s a great family fun atmosphere with a designated youth wave for the 5 -12 age bracket. So come bring your friends, bring your family and enjoy the music, tasty food, cold beers and amusements for everyone. All the ingredients needed for an awesome day out! 5-12 olds approx 3kms with 20 obstacles, mud, water challenging obstacles and a great deal of fun. Enjoy with your family and friends. Please note 11 and 12 year olds can choose to do either the youth or the adult course dependent on their abilities and their parents discretion. In the Youth course 1 adult must run and supervise from 1 up to 4 youth. The supervising adult must be insured and have purchased a supervisors ticket to run in this wave with the youth. Any youth running unaccompanied will be stopped from continuing the youth course. Raw Challenge Tasmania is your Exclusive and intimate obstacles course destination, with only 600 tickets on sale per event. The Iconic Falls Festival site in Marion Bay, is our new home with picturesque views, wide open trails to run and natural terrain that goes for miles. Raw Challenge Tasmania offers a unique Obstacle Racing Fitness destination.The prestine natural beauty of this site just add's to what is already a favourite event. Beauty and scenery aside, Raw Challenge Tasmanian is NOT JUST A MUD RUN, Its a day of adventure ,fun, energetic, and wet day for the whole family. This Event : Every event is different from the last with new obstacles , and we aim to provide consistant fun, but varied adventure, with new obstacles and NEW MEMORIES! It doesnt matter if your a '#RawVeteran or a #RawVirgin' we know you will still have a ball! This event will be hosted on Saturday the 18th January 2020. Something for everyone : Social Waves running every 20 minutes between 9am and 1100, as well as a youth wave at 1130. We have a wave for everyone, and as a fitness event, we stand apart from the rest because we create a space for #AnyAgeAnyAbility! Whether your an elite athlete or your a family who wants to take there kids for an active day of adventure, we have what it takes to create long lasting memories for you, your family and your friends! 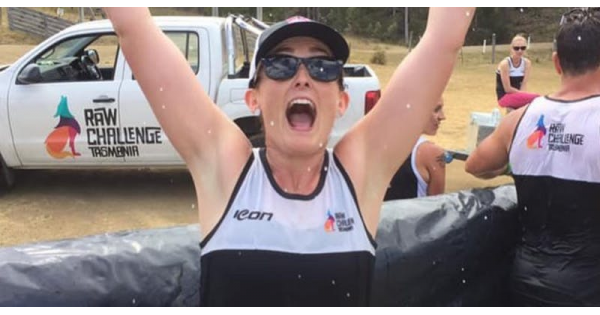 What Exactly should you expect : The Raw Challenge Tasmania team is made up of local fitness enthusiasts, who beleive that days like this are for #AnyAgeAnyAbility - and have designed a space where everyone can come and have fun! This event will take you on an adventure thru the tracks of the iconic site, past the main stage and pretty soon you will be hitting our set of 'Bars' - but these bars, are bigger than the last, and they may swing a little more too... and did we mention that if you fall in, you cant touch the bottom, so being able to swim is essential! You’ll be climbing over high shipping containers, and the only way down is on a pole. You’ll find yourself faced with some walls, Some BIG walls - And you have to get over them... and some mud, and of coarse our slide. RAW CHALLENGE TASMANIAN HAS A STRICT NO REFUND POLICY UNDER ANY CIRCUMSTANCE! WE ASSESS TRANSFERS ON A CASE TO CASE BASIS,BUT HAVE NO GUARANTEES, AND MUST OBTAIN A MEDICAL CERTIFICATE. You will still see our tunnels, and our ramp and our cargo nets.... our Lilly pads have been upgraded, and we have added in a new one..... I suppose you could call it the bell of the ball. Raw Challenge Tasmania really is a day out for the whole family, Proudly Tasmanian owned and operated, there is now more room, condensed mud and bigger Obstacles. The track is spectator friendly and provides entertainment and local food. Come down to conquer the course then relax and enjoy the festivities and entertainment for the whole family, even your youngest will have fun. WAVES DO FILL UP FAST - So assemble the troops and register a team to secure your position in what is set to be another epic event. YES! We have a designated youth wave for our kids 5 -11 years. And adults is from 12 years and up. If your Child is running they MUST have a supervising adult with them, who needs to purchase a (youth wave) ticket! What are my transport/parking options for getting to and from the event? Parking is available and costs $10, we recommend car pooling What can I bring into the event? Bring a towel and some water to drink after the event. dont forget a change of clothes and a nice warm Raw Challenge Hoodie for post event. How can I contact the organiser with any questions? You can email Kirri@RawChallenge.com.au What's the refund policy? WE HAVE A STRICT NO REFUND POLICY. But we do let you transfer to the next event with a valid medical certficate , or transfer the name on the event entry. Do I have to bring my printed ticket to the event? Nope, just your ID - We match your ID with the name registered. Can I update my registration information? yes you sure can, via your eventbrite log in Is my registration fee or ticket transferrable? yes it is, via your eventbrite log in Is it ok if the name on my ticket or registration doesn't match the person who attends? NO - they MUST match. if your name on your ID does not match the name we have registered, you cant enter.